Now that Oracle wants to turn over leadership of enterprise Java’s (Java EE’s) development to a still-unnamed open source foundation, might the same thing happen with the standard edition of Java (Java SE) that Oracle also controls? Such a move could produce substantial benefits. But it does not seem unlikely, at least at the moment. Oracle said it has no plans to make such a move. But the potential fruits of a such a move are undeniable. For one, a loosening of Oracle’s control could entice other contributors to Java to participate more. Java development has had other participants, including IBM, Red Hat, and SAP. But with the current Oracle-dominated setup, other companies and individuals could be reluctant to contribute a lot if they see it as benefiting a major software industry provider—and possible rival—like Oracle. Turning over Java SE to an open source foundation could produce more contributors to the platform, as well. Having more experts willing to participate could help Java branch out into new directions, while providing additional brain power to correct current inadequacies, such as Java security issues. Indeed, the 22-year-old language and platform could be given a whole new lease on life, if the open source community rises to the occasion and boosts participation. Oracle, meanwhile, would be freed up to allocate its resources to other core businesses, including its database, applications, and cloud offerings. And Oracle would still be free to generate whatever revenues it can get from Java products and services, through licensing of Java technologies. Currently, Java SE is developed under the auspices of OpenJDK, with official technical changes made by votes as part of the Java Community Process (JCP). Companies such as IBM and Red Hat have been prominent contributors to the Java SE development process, similar to what they have done with Java EE. But make no mistake: Oracle officials such as Mark Reinhold, chief architect of the company’s Java platform group, effectively drive Java SE. 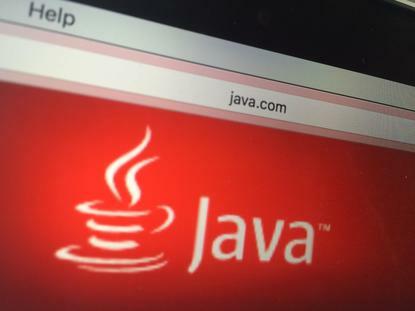 Oracle, which acquired stewardship over Java when it bought Java creator Sun Microsystems in 2010, also has had led many of the Java Specification Requests (JSRs) for amending Java in the JCP. The next major version of Java SE, version 9, is due on September 21 as Java Development Kit 9. The next version of Java EE, version 8, also is due soon. Oracle has been the go-to company for both efforts. Despite the potential to grow Java SE by ceding control, Oracle seems content to hold on to its place as the steward of JDK development. But that could change given the tempestuous relationship Oracle has with parts of the Java community. Oracle has been at loggerheads with the community over both Java SE and Java EE. Last year, Oracle was called on the carpet over a perceived lack of interest in Java EE, prompting Oracle to announce a reboot of the platform and then later to cede control over Java EE. Java SE also has come under fire, with IBM, Red Hat, and others recently objecting to the Oracle-led plan for Java’s modularization. The Java modularity dispute has been worked out, for the time being. Still, Oracle may at some point decide it is easier to just cede control rather than having to keep soothing the ruffled feathers that keep occurring among its Java partners.